I bought this book at a sale in Southhampton in 2003 and then forgot all about it while it was sitting quietly at the bookshelf in my office. It is too interesting and well-written to be ignored. "Animal intelligence is a subject which has long occupied scientists. Pavlov's famous experiments 'proved'that dogs negotiate the world purely on instinct because they salivate automatically at the ring of a bell associated with food. What Pavlov omitted to note was that humans will do the same. So where, if anywhere, does the difference lie?" 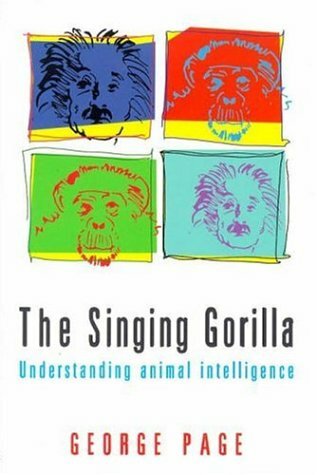 A highly interesting read, looking at the scientific world and their usually antropocentric appraoch towards animals and animal intelligence. This approach generally has the aim to avoid the following question: if animals are intelligent, if they have feelings, how can we justify using them the way we are? Released at the office of the Jane Goodall Institute, a year or so ago.